Anne started a new job in November – and a new Metro commute. And with roughly three months under her belt, her new commute has already become second nature. To get to work each day, Anne boards a train at the Fairview Heights MetroLink Station and rides into downtown St. Louis. She exits at the Convention Center MetroLink Station and walks a short distance to work. 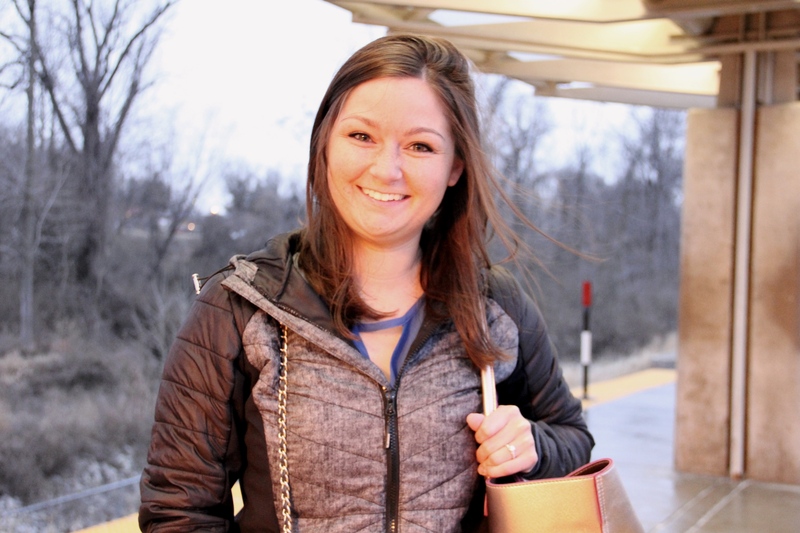 “I started my job in November and I was not about to deal with St. Louis traffic, so I thought I’d just get on the Metro,” she said. In addition to avoiding bumper-to-bumper traffic, Anne also saves money on gas. Anne uses MetroLink outside her work commute as well, using the train to get to and from baseball and hockey games. MetroLink is a great way to avoid rush hour traffic into downtown St. Louis. It’s a trick many residents in Illinois know and use, Anne said. Anne is a relatively new rider and admits she was nervous during her first trip, but those jitters are only temporary.